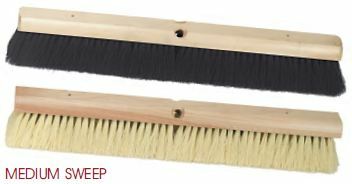 Natural tampico fill, the old standard but still very popular floor brush. 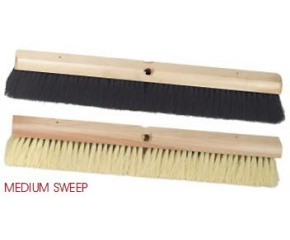 This natural black fiber is ideal for general sweeping. The 402 is ideal for paper plants where a dyed fiber can be an unwanted containment. Size Inches: * Please select18"24"30"36"